So you have a cottage or need to tow a small boat or trailer – or both. You’re thinking used and need something with available four-wheel drive and a goodly-sized V6 or V8 engine – four cylinder models aren’t going to cut it here. A little elbow/storage room inside the vehicle wouldn’t hurt, nor would a decent reliability record, plus a modicum of comfort and the ability to take a few bumps and bruises along the way. 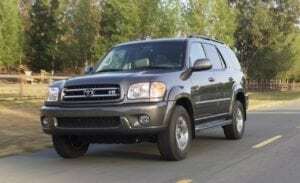 Sequoia 2003: The 2003 Toyota Sequoia has plenty of power, lots of room and a good record of reliability – in fact, it’s probably the most dependable of this group. With a smooth 240-horsepower V8 engine, four-speed automatic transmission and available four-wheel drive, the first generation of the Sequoia will seat at least six – including their luggage – and features a 2,850-kilogram towing capacity for the 4X2 version, with a vehicle stability control system and traction control. Weak points seem to include the fuel system, body hardware, brakes and audio system. Transport Canada has three safety recalls on file for this one and all should have been dealt with by now. They are: a passenger-side airbag that could inflate too quickly or harshly in an accident, software issues with the stability control system and lower front ball joints that could wear prematurely. 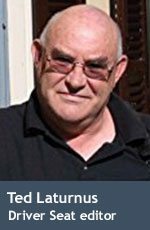 Marketing researcher J.D. Power, meanwhile, gives this generation of the Sequoia an “about average” grade for overall quality. It’s not the cheapest full-size SUV for these years but it’s arguably the most dependable. The 2008 Ford Explorer Sport Trac represents the biggest bang for the buck of this group. It has good reliability and usability. As well as offering seating for five, the second generation of this model has a smallish pickup bed for carrying awkward loads. 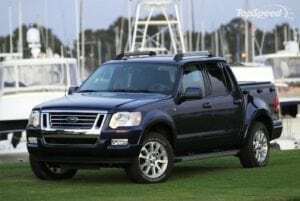 After a major re-do in 2007, and the addition of a 292-horsepower, 4.0-litre V8 and six-speed automatic, the Sport Trac upped its reliability and usability, garnering a “better than average” grade from Consumer Reports in the process. Towing capacity for the V8 version (there is also a 4.0-litre V6 five-speed automatic) is 2,376 kilograms and you could get this generation of the Sport Trac with or without four-wheel drive. Some problems have been reported with the suspension and power equipment, but overall, this generation of the Sport Trac is head and shoulders above its predecessors. Just one safety recall to report from Transport Canada and it concerned a possible transmission fluid leak caused by improperly fitting lines to the transmission cooler. 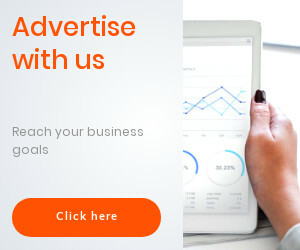 Marketing researcher J.D. Power gave the Sport Trac just an “about average” grade for overall quality, but “among the best” for overall performance and design. Of the three models discussed here, this probably represents the best bang for the buck. 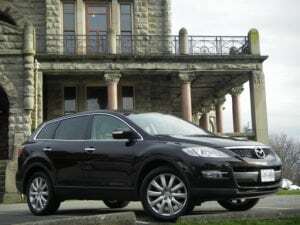 The 2010 Mazda CX-9 may slip under the radar but it gets high marks in just about every category. And it probably offers the most civilized driving experience of these three. Mazda’s largest SUV kind of slips under the radar, but with a refined 3.7-litre V6, some 273 horsepower on tap, mated to either two-wheel or four-wheel drive, it provides 1,450 kilograms of towing capacity. This engine, incidentally, is not a Ford power plant, but Mazda’s own proprietary unit and is fitted to models from 2008 onwards. I had a look at a 2010 model and Transport Canada had but one safety recall on file, concerning a potentially troublesome front seat warmer that could run amok, overheat and possibly start an electrical fire. Apparently, it needs a better ground. With high marks in just about every category, this one rated a “better than average” grade from Consumer Reports and received this organization’s “Good Bet” designation. 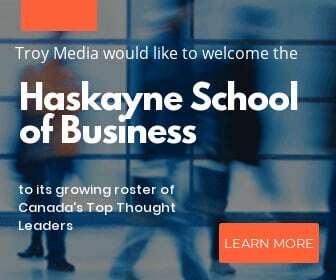 Marketing researcher J.D. Power gives the CX-9 a “better than most” grade for powertrain and overall dependability. Thanks to its car-based origins, the CX-9 probably offers the most civilized driving experience of these three. If you’re in the market for one of these rigs, you should bear in mind that these kinds of vehicles are often put to work and see off-road duty long before you get to them – run hard and put up wet, as they say. Low mileage models are recommended, as is a thorough mechanical checkup.